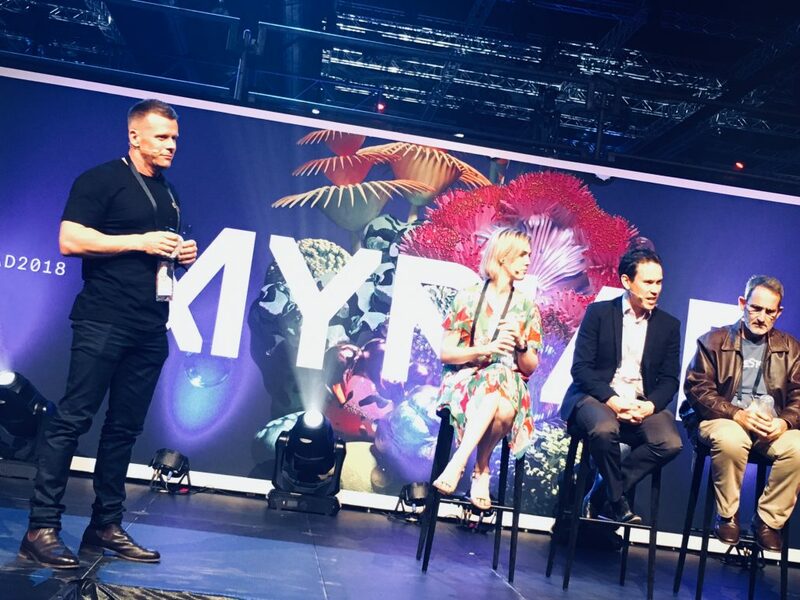 Myriad 2018 has come and gone. 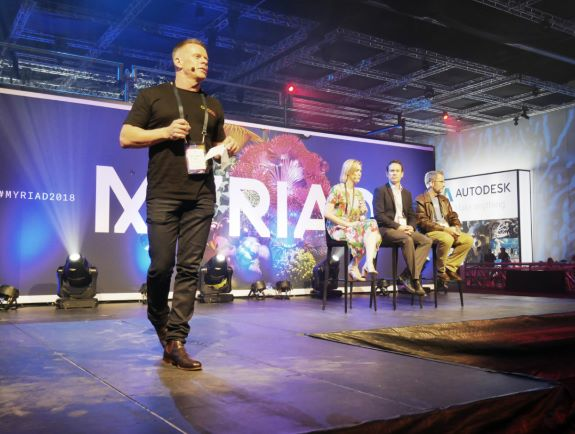 The three-day showcase of new concepts, new ideas and entrepreneurial innovation brought a world of startling technology to Brisbane and the Royal International Convention Centre, delivering a program that included 26 masterclasses and workshops, 24 satellite events that spanned the U.S. and Australia, and presentations and roundtable sessions delivered by 158 speakers and moderators that included some of the most influential people from across the global innovation landscape. The only event in Australia that brings together the five elements – start-ups, investors, students, government and enterprise – of an innovation ecosystem, Myriad proved to be a must-attend event for those with an eye on the future direction of technology and society and more than 2500 tickets were sold for the main event with many more members of the public visiting the free-to-enter, MTA Queensland-sponsored, Myriad Garage, held in the exhibition space below the main stage arena. 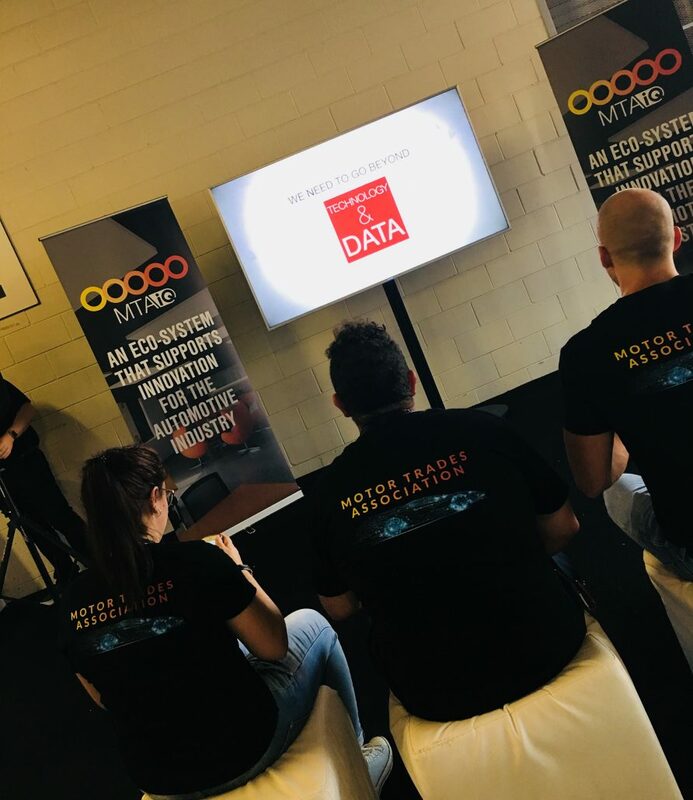 Featuring more than 150 exhibits and product demonstrations from start-ups and established businesses, including Tesla, the Garage was also the location for the Garage Stage which hosted, amongst other things, a nerve-jangling pitch competition that saw start-ups and entrepreneurs spruik their ideas to experts and a gathered audience in an event reminiscent of the TV show Shark Tank. 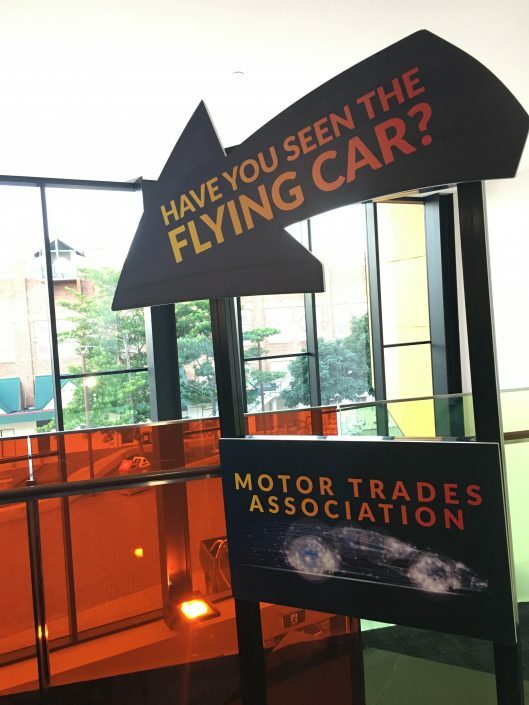 Central to the Myriad Garage was MTA Queensland’s exhibition space – an area dedicated to the services, products, ideas and skills of MTAiQ, its clients and partners, with a little entertainment thrown in by way of a purpose-built theatre screening automotive-related innovation videos from around the world. 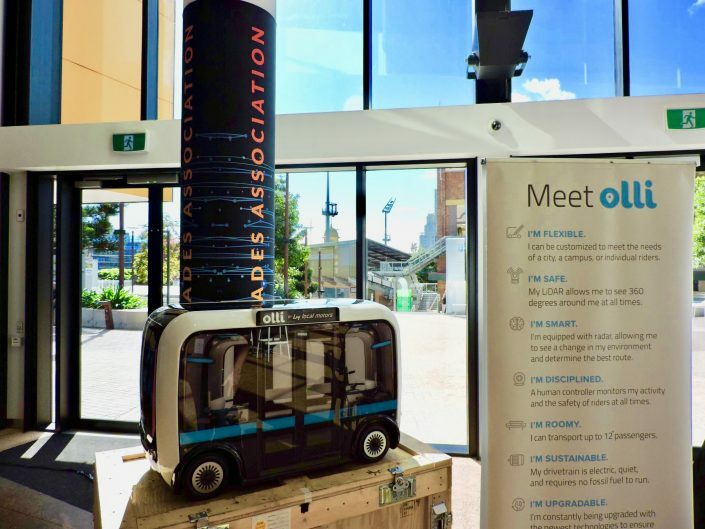 Those exhibiting at the MTA Queensland space included AEIT (Australian Electric Infrastructure and Transport), designers of a wireless charging electric bus; Local Motors, creators of Olli, an all-electric, partially 3D-printed, autonomous shuttle bus; ACE Electric Vehicles, who will soon begin the production of electric light commercial vehicles (see page 24) ; 3D Space Labs (3DSL) which offers a range of services including 3D printing, 3D scanning and design work as well as retailing a variety of the leading brands of printers; Immerse Enterprise, creator of virtual reality, augmented reality and 360-degree video content; and The Robotics Club, who displayed their work in self-driving vehicles. Also taking its place in the MTA Queensland space was NXG3N Robotics with their Pegasus Flying Car project. 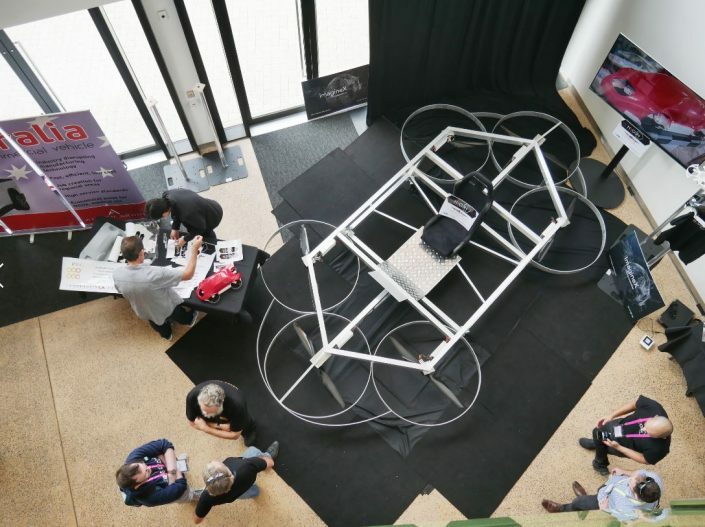 For the NXG3N team, Myriad represented an opportunity to highlight their project for the first time in public, and they worked around the clock in the days leading up to the festival to be able to display the base of their concept – a full-size frame, complete with motors and propeller blades in place – to complement their working models and other conceptual material. It was, said Nathan Luu, co-founder of NXG3N Robotics, something of a feat to get an MVP (Minimum Viable Product) prototype of the Pegasus Alpha concept to Myriad, but the hard work paid off with the vehicle becoming a focus of conversation around future mobility and transportation and creating a torrent of positive feedback. “We worked really hard to get the prototype there and if it wasn’t for the help of the MTA Institute workshop team, our old race car builder mate Grant Watson of Advanced Enterprises, and our mentor Tony Wheeler of ImagineX, we wouldn’t have made it!” said Nathan. 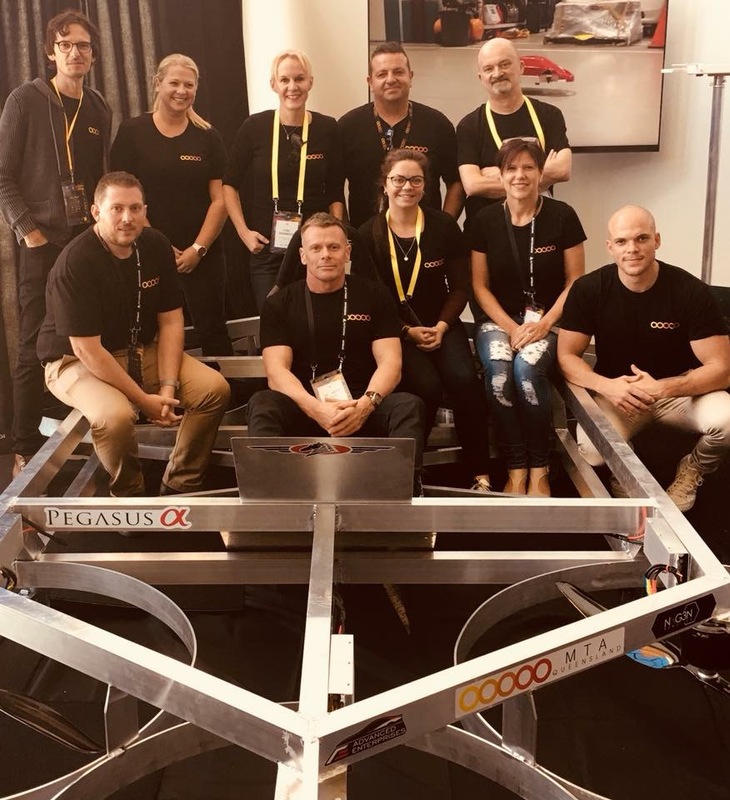 “NXG3N Robotics and our Pegasus Alpha Flying Car MVP prototype were at Myriad to create noise, to ignite the conversation and to show the world that us Aussies want to contribute to the flying car future. And the feedback was phenomenal! “The prototype gained so much attention that we were invited to ICRA 2018, (the International Conference of Robotics and Automation) by the distinguished Professor Peter Corke of Robotic Vision QUT,” he added. 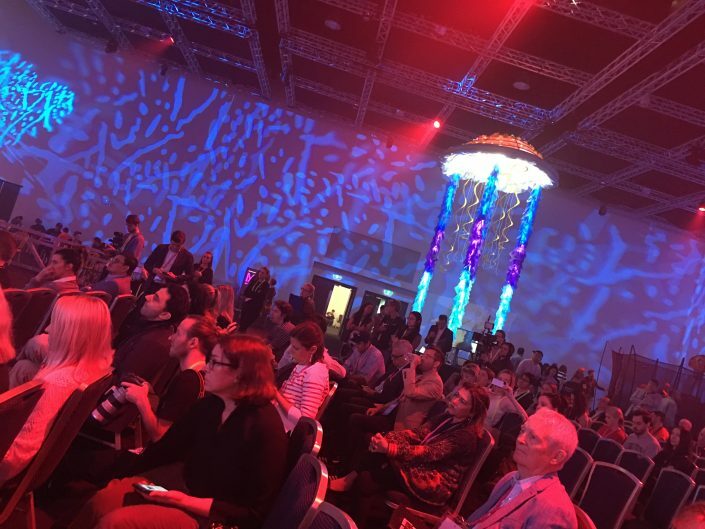 “More than 3000 attendees came to Brisbane for ICRA from all over Australia and the world, and the Pegasus Alpha caught the attention of Dr. Sue Keay, the CEO of the Australian Centre for Robotic Vision. 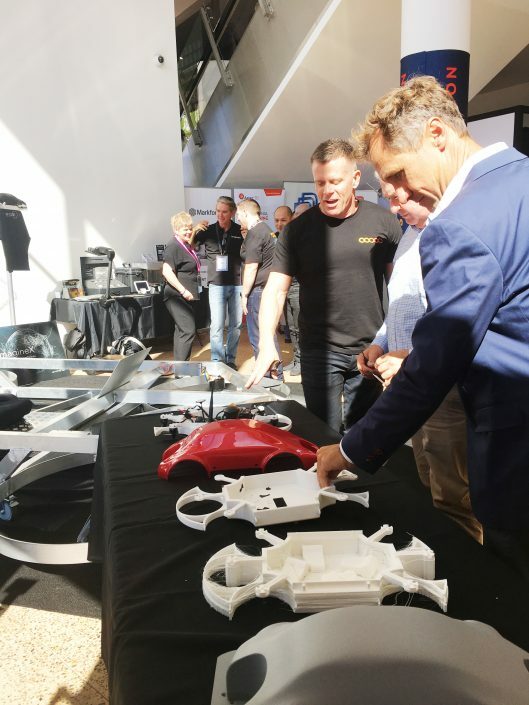 Now, ‘Flying Cars’ will be included in the official Robotics Roadmap for Australia to launch in Canberra later this month. The Pegasus Alpha project also received help from other teams associated with MTAiQ, including Immerse Enterprise, which provided a virtual reality experience to Myriad attendees to see the flying car in its finished state; and 3DSL, which assisted the project by 3D printing various components used through the flying car’s design phase. 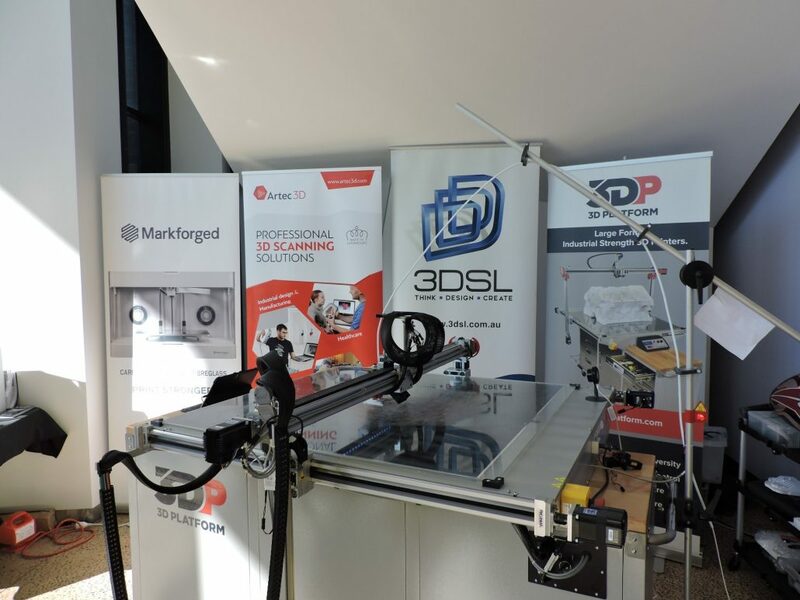 For Iain Gilmour, owner of 3DSL, working with NXG3N and being at Myriad provided the opportunity to spread the word about 3D printing and showcase its power in quickly creating bespoke and prototype components. 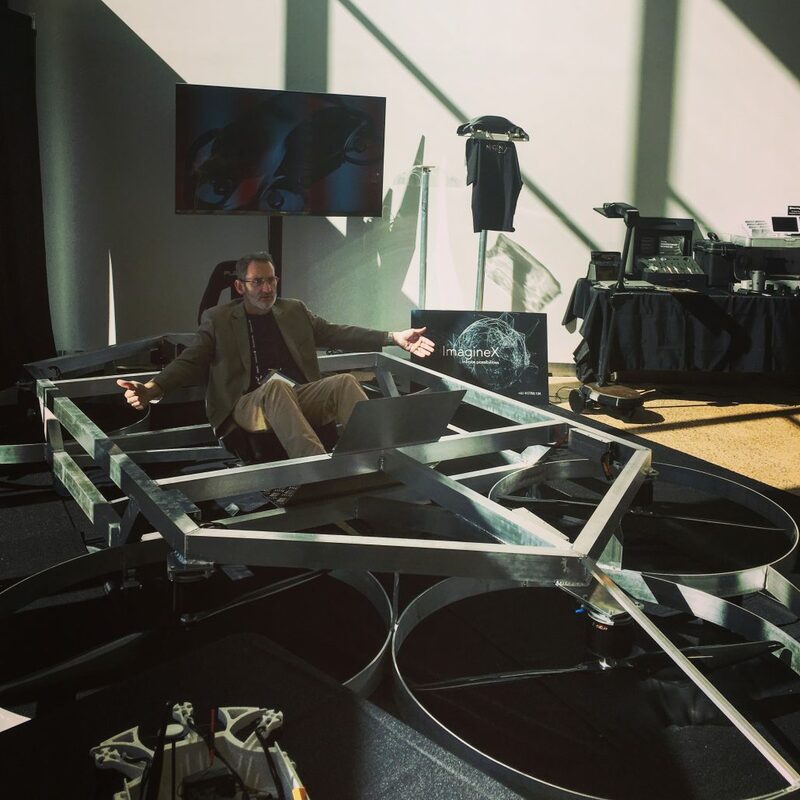 “I 3D-printed three 23-hour prints of the drone body so that NXG3N could run tests,” said Iain, “These guys are the type of good crazy people that you need to make projects like this happen and I back them all the way. They did a remarkable job to build the full-scale model in about a week and I am very eager to see what happens next because I know they will deliver something impressive. 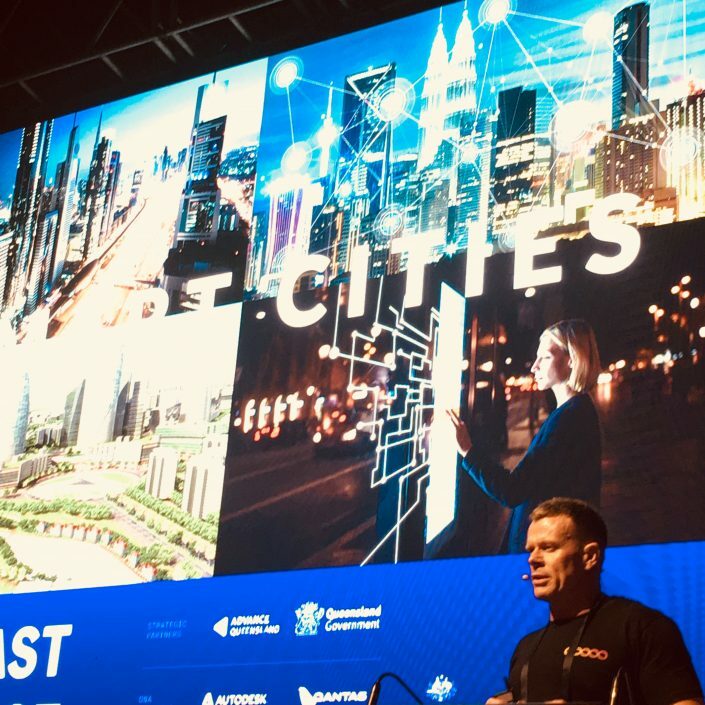 While the Pegasus flying car project was an important part of the Myriad Garage, the concept of future mobility, including flying cars, was the centrepiece of MTA Queensland CEO Dr Brett Dale’s keynote presentation, as well as the topic of conversation of the roundtable discussion that followed. Taking place on the main Coast Stage of the festival, Dr Dale’s presentation covered a range of issues under the title ‘Mobility Models and Utopian Societies’. 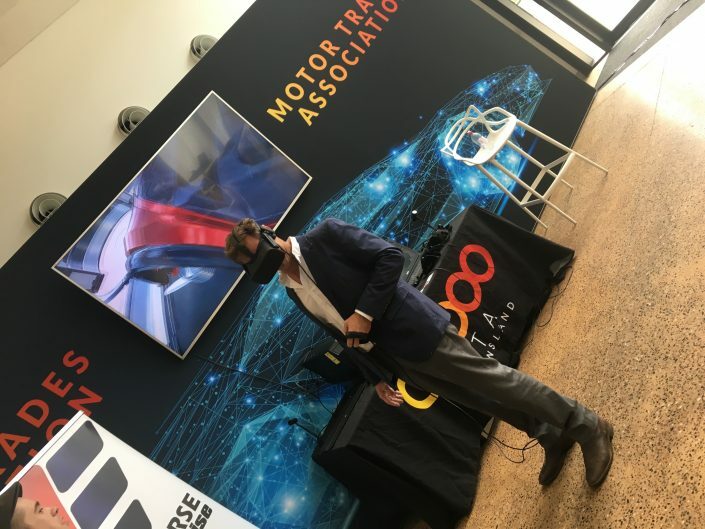 Laying out the direction that mobility is taking, Dr Dale encouraged investors, businesses and creative minds to see the opportunities that the inevitable disruption in the automotive industry would reveal. “There is nothing more exciting than the future of mobility,” he said. “I am an extreme optimist who believes if we can imagine it, we can do it. And as far as emerging technology goes, our industry will be completely transformed as a result. Some of the technology is here, some of it is on its way and some of it is still unknown. But it is coming, and we need to be ready for it. We need to get ahead of the game and start channelling great minds to what the opportunities are. 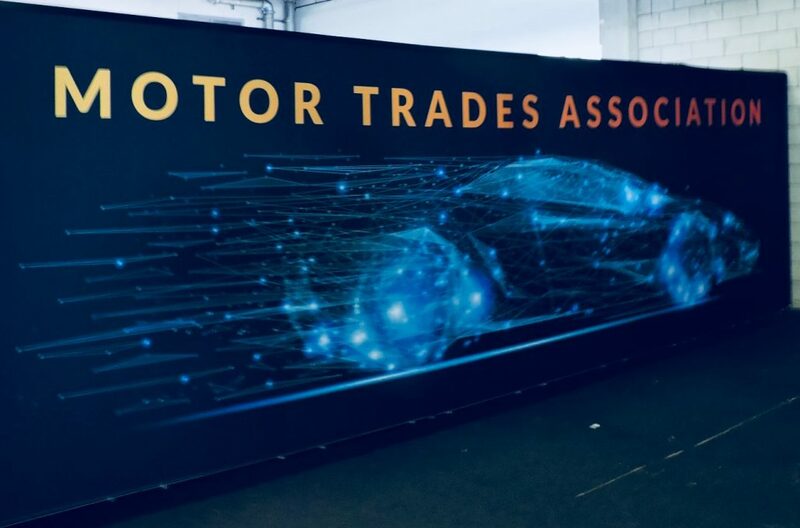 “By 2022, we expect to see 13.5 million electric cars on the road globally, and by 2020 we expect 90 per cent of all cars sold will be ‘connected’. Under new models of mobility, where we expect there to be shared ownership, 26.2 million people globally will be using only 500,000 vehicles for transport. “So, our industry will change, our society will change, and by as soon as 2022 every aspect of our lives will be different. By 2020, we’ll start to get familiar with the technology, by 2022 you will see some significant changes and uptake of the technology and by 2030 it will be old news. 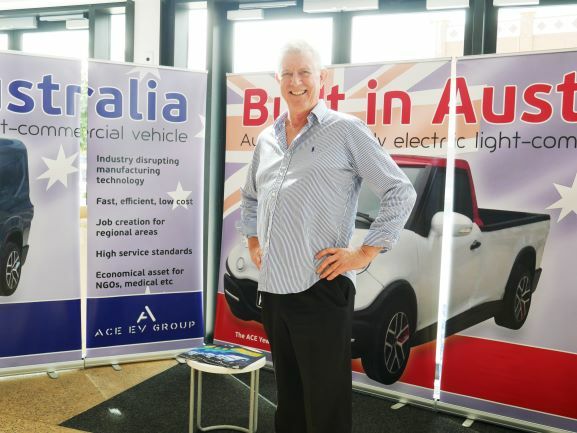 Turning to the social benefits that mobility will bring, Dr Dale highlighted the undeniable positives of embracing new electric, autonomous and connected automotive technology. “40-90 per cent of emissions will be reduced, and while these statistics are representative of the U.S., they see that 40,000 lives can be saved each year, a figure that equates to 1.2 million lives globally. In the U.S. alone they also expect to gain 100 billion hours of productivity thanks to technology, and that equates to about 1 trillion hours globally. “We are also witnessing the largest growth of the middle class,” he added. “About 2 billion people are deemed middle class now and we expect that number to double by 2030. That means people who at one time did not have accessibility to mobility will be in the market. Turning to the prospect of flying cars, Dr Dale was moderator for the roundtable discussion that followed his presentation with a distinguished panel of guests taking part – Steve Baxter, Queensland’s Chief Entrepreneur and advocate of flying car technology; Professor Michael Milford from QUT’s Science and Engineering Faculty; and Kellie Nuttall, Global Mobility Expert from Deloitte. An animated discussion ensued with the prospect of flying cars unanimously supported but with a difference of opinion on the strategies and timelines of the technology being introduced. “Get over it, it is happening,” said Mr Baxter at one point. “The hard part is the regulation and convincing people that we are going to have 10,000 of these flying above of our heads and less of us will die in transport because of it. As with other mobility technologies, Mr Baxter argued that flying cars, whether they be personal or in a sharing capacity, would fundamentally change society. Regarding the safety of flying vehicles, the consensus seemed to be that the less human interaction the better and that autonomous flying vehicles could provide a superior model of transport. “The really attractive thing about flying cars is that they don’t have to interact with people as much,” said Professor Milford. “What we have seen with autonomous cars in the last 5-10 years is that humans are horribly unpredictable. We do silly things like jump out in front of cars . . . The big advantage, technically, of flying cars is that the only interaction with a human is at the very beginning and the very end of the journey – the rest of the interaction is governed by both current and reasonably predictable future air safety rules and practice. That makes it much more attractive than all the messy problems the government is dealing with now. Other issues touched on by the panel was the need for government to become more involved in the development of policy and regulation and to put mobility and flying car scenarios near the centre of transport policy-making; that Australia had to meet the ‘talent challenge’ of being a leader in the field by, for instance, creating large-scale projects that would impact the imagination of the public; and, finally, an acknowledgement that generational change may play a role in the uptake of such technology. It was, a spirited debate, and the feedback from the packed auditorium was excellent. 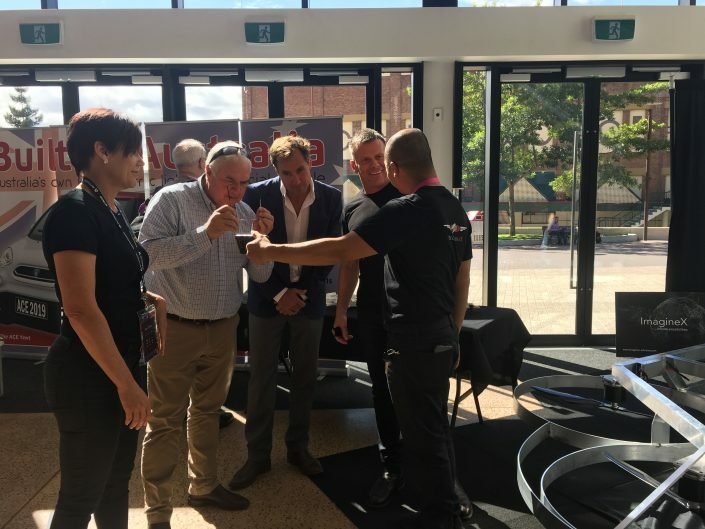 “Not having participated in the previous event it was hard to gauge what we might be in for and what the content focus for the presentations should be,” said Dr Dale. “But the feedback has been very good, so I suspect the content was relevant. 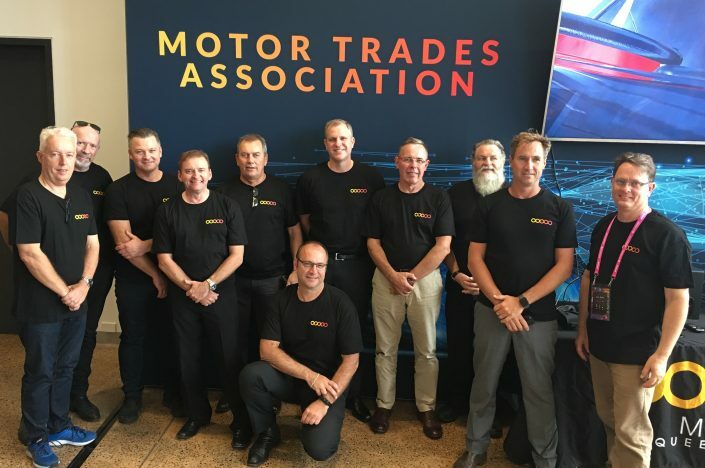 For MTA Queensland then, the undertaking to be at the forefront of the automotive industry’s evolution through the support of start-ups, entrepreneurs and concepts through MTAiQ; the educational and information programs through MTA Institute; and advocacy, support and guidance to established industry through the Association itself, meant an appearance at Myriad was clearly advantageous. It would, added Dr Dale, be just the latest such event that MTA Queensland will support. 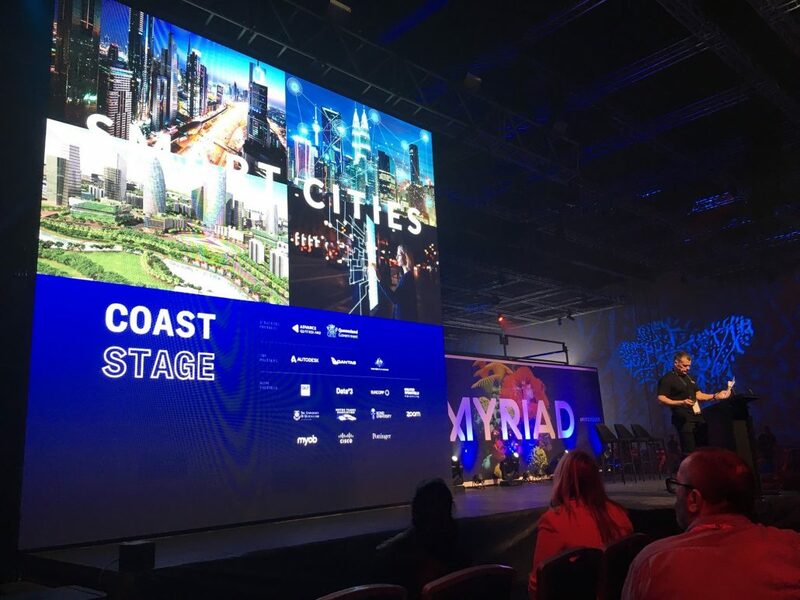 “Myriad provided great opportunities for our brilliant start-ups to promote their ideas and to engage like-minded brilliance and potential investors,” he said. 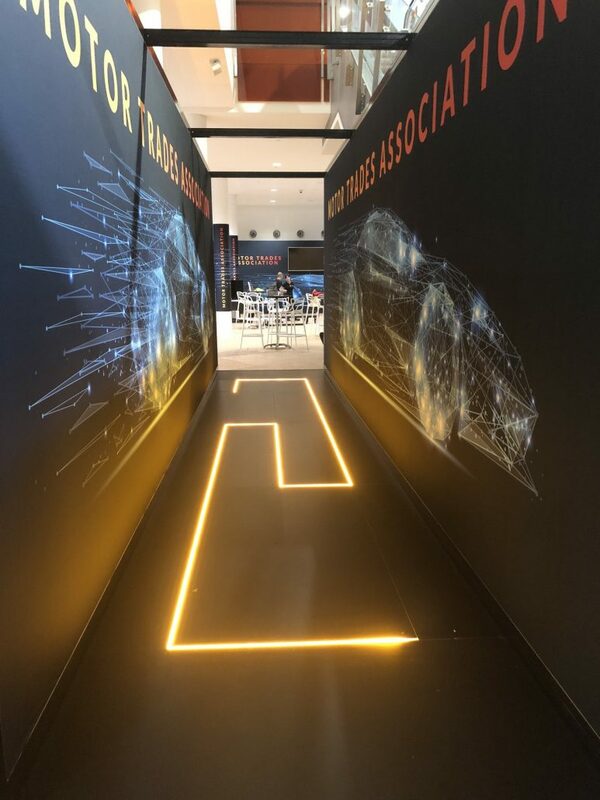 “Our presence certainly substantiated our commitment to leading opportunities for our industry, and the awareness of our futurist approach is becoming well recognised. “It’s clear that society is about to have a head-on collision with the next industrial revolution and our industry will clearly emerge to encompass all things automotive, transportation and mobility – with the latter being more inclusive. 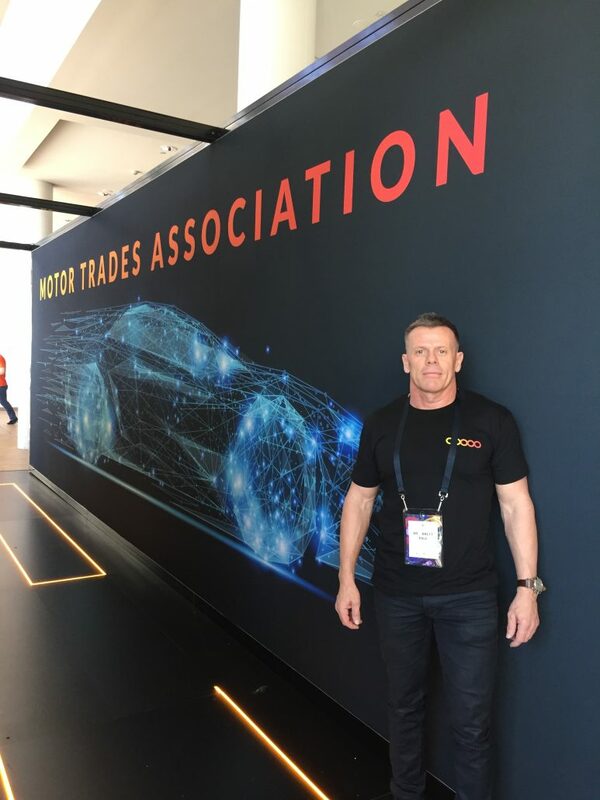 “I have committed to several national events talking about similar technologies with the aim of continuing our commitment to promoting all things mobility,” he added. 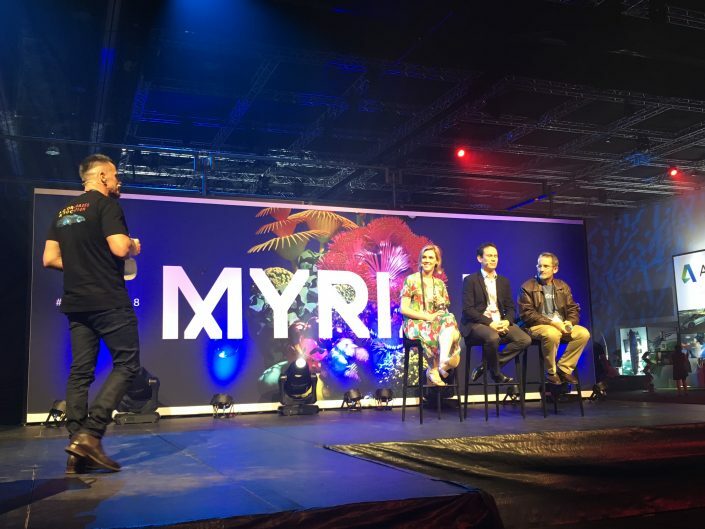 “We are currently working on a possible one-day event here in Queensland for November about the digital economy with a focus on mobility and smart cities, and we will strive to make our commitment to Myriad 2019 bigger and better. Myriad panel 'Are Flying Cars the Way of the Future?"